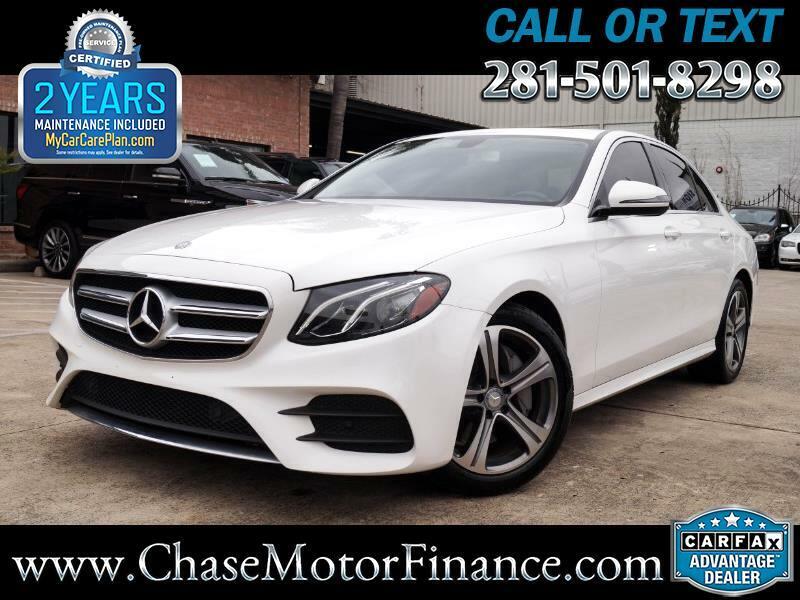 Chase motor finance is exceptionally please to present this *IMMACULATE CONDITION* 2017 Mercedes-Benz E300 Luxury! Finished in White exterior and white Leather cabin, this E-Class has been meticulously kept! Both the exterior finish and the leather cabin have been well maintained. The interior leather is fresh and clean; with not even a hint of wear! The exterior finish is spotless through and through! Please refer to the pictures and have a good look at this awesome Mercedes for yourself! Options Include: Sunroof, Navigation, Heated Seats, Paddle Shifters, Homelink, Leather Steering, Memory seat, Alloy Wheel, Wood Accents, On Board Computer, Fog Lamps, Am/Fm/Bluetooth/ CD Player Memory card Reader, and More! Our mechanics have thoroughly inspected this Mercedes and have found no mechanical problems! The drive is excellent, no shakes or pulls. The 2.0 4 Cylinder engine is responsive and the automatic transmission shifts smoothly into gears. Feel free to contact us for any question you may have.